All things considered, this year had a pretty phenomenal E3. Between The Last Guardian, Shenmue III, Final Fantasy VII Remake, Earthbound Beginnings, Fallout 4, and so much more, almost everyone had a dream come true. That said, it was still a long way away from perfect and there were plenty of embarrassing and frustrating moments to spoil the fun. These are the worst moments of E3 2015, in our opinion. Name-recycling is what I like to call the trend of giving a sequel, reboot, etc. the exact same title as the original. The gaming industry has had numerous examples in recent years: Mortal Kombat, Tomb Raider, Twisted Metal, Crackdown, Prince of Persia (twice). I don’t know why so many companies keep pulling this stunt, but it is one of my major pet peeves. I’m not saying that any of those games are bad, but their naming convention frustrates me to no end. I’ll let it slide if it actually is a remake of the original game that it’s named after (i.e. Ratchet and Clank for PS4) or if they’re trying to reboot a franchise that’s been dormant for a decade (i.e. Splatterhouse). When it’s an entirely new entry in a well-known series, it gives the impression that the creators of the game just don’t care. Naturally, I was less than thrilled to see this pop up no less than three times at E3. We already knew that the newest Doom game would just be called Doom going in, but then we had EA announce the newest Need for Speed game as Need for Speed and Square-Enix reveal the next Hitman game called Hitman. I’ve officially had all I can stand with this trend, so I’ve decided to come up with my own names for these games. Doom 4 is an obvious title for the new Doom, while I’ve dubbed the new Hitman game Hitman: Trademarked. Hey, its already got that trademark logo in the title and that actually is a surprisingly good subtitle for a Hitman game. Finally, the new Need for Speed can be called Need for Speed: Subtitle. Yeah, I completely copped out on that one, but it’s still more effort than EA put into naming it. When discussing all of the things that I didn’t want to see at E3 this year, the one thing I wanted to avoid most and knew was the most unavoidable was for an entirely new game to be announced, but have no actual details on how it plays or who should even be interested given. I actually came incredibly close to getting my wish this year as almost every new game had actual gameplay attached to it. Games like For Honor and Horizon: Zero Dawn immediately arrested my attention with their demonstrations. Even titles that I don’t have much personal interest in like Sea of Thieves and Trackmania Turbo were still able to catch my eye thanks to their focus on mechanics over cheap theatrics. Sadly, we couldn’t escape non-reveals entirely and there were still a few particularly egregious examples. It looks like Hearthstone copycats are the next big bandwagon with Bethesda and EA revealing their own digital card games based on the Elder Scrolls and Star Wars universes respectively. What they both failed to mention was how these new games would actually differ from Hearthstone and manage to stand out on their own in what’s about to be a very crowded genre. While I’m a big fan of Hearthstone, I’ll be the first to admit that it has plenty of problems and either of these new games may be able to convert me. However, I need actual details before I even consider switching. I’m also tempted to bring up Media Molecule’s Dreams on the topic of non-reveals, but I think that has more to do with even Media Molecule themselves having no clue what they’ve created with that thing. The worst of the bunch, without a doubt, was Project Setsuna. 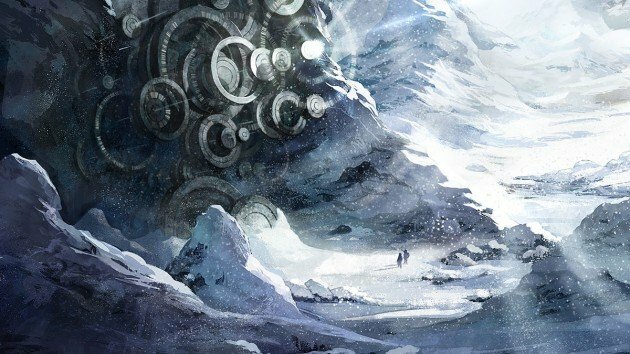 Being developed by Square-Enix’s newest studio, Tokyo RPG Factory (ha ha), Project Setsuna is an entirely new JRPG… And that is literally all we know about it at this point. It hasn’t even gotten past the concept art phase of development and Square-Enix decided that it was the best way to close out their press conference. That image pictured above is literally one third of all there is to know about the game. The idea was to send the message that Square-Enix is still committed to RPGs as the genre that put the company where it is today. Given that they had already shown off Final Fantasy XV, Kingdom Hearts III, Deus Ex: Mankind Divided, NieR 2, and Star Ocean 5, I highly doubt anyone was going to walk away thinking that RPGs were dead. Plus, Project Setsuna could end up just being a mobile game for all we really know about it. There’s simply no point in taking an interest in any of these games until more actual details emerge , and we’ll likely be left dwelling on nothing in the meantime. I don’t think Nintendo’s showcase was nearly as bad as a lot of people are making it out to be, but I certainly share in the frustration. There has been a great deal of anticipation for a new Metroid game and an Animal Crossing game on Wii U and we technically got both of those, but not in the ways any of us were hoping for. Metroid Prime: Federation Force drops the isolation, exploration, and darker tone for a co-op shooter with a cartoony art style and an FPS soccer minigame. Animal Crossing: Amiibo Festival brings Animal Crossing to the Wii U in the style of a board game reliant on amiibo figures in order to be played. Neither of these look like bad games by any means, but fans of these franchises have been left waiting for years and these announcements came across as a slap in the face. 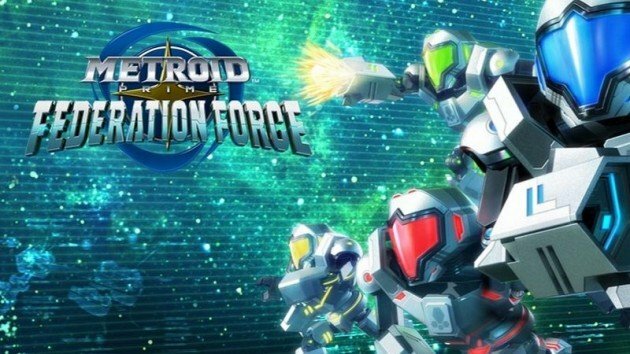 The backlash against Federation Force in particular has been massive, to the point where the only thing that seems to come up in interviews is how much Nintendo is trying to run damage control. I’d like to call it an overreaction, but Metroid fans have not exactly received the best treatment in recent years. After enduring the infamous Metroid: Other M, there was five years of silence with nothing but crossovers with Nintendo Land and Super Smash Bros, and now the silence is finally broken with something that just seems to move further and further away from everything that made the series great in the first place. On the bright side, it seems that this could be building up for a Metroid Prime 4 announcement from Retro Studios, possibly as a launch title for the NX, but that hypothetical is little comfort after how badly fans have been burned. As for Animal Crossing: Amiibo Festival, the general opinion on amiibos has started to turn around as customers are continuously exhausted to try and find their favorite figures, so a game completely reliant on having specific figures isn’t exactly joyous news. While the game itself is a free download, those compatible figures are bound to be in short supply and every player needs to have at least one of their own in order to play. Not only that, the game that people were actually hoping to see was an actual, mainline Animal Crossing game for the Wii U. It’s been three years since Animal Crossing: New Leaf released for 3DS, so the timing seemed right. Instead, fans will have to make due with meager spin-offs for the time being. I understand Nintendo’s decision to focus on the immediate future as they can make major announcements whenever they want with their Nintendo Directs, but they definitely came up short compared to Microsoft and Sony this year. Aisha Tyler (pictured left-center), the main spokesperson for Ubisoft for the last few years, has a fairly divisive presence at E3. Personally, she’s grown on me and I really feel that the Ubisoft press conferences are general made better by her. She has a great deal of charisma and always keeps a high amount of energy going at the show. However, there are definitely times where she tries too hard to be funny and this year had her biggest dud yet. After approaching an Assassin’s Creed cosplayer in the audience, Tyler asked for him to “pitch a meme”. Anyone who actually knows thing one about how internet memes work knows that they have to happen naturally as a public response to things and can’t just be manufactured on the spot. It seems like the cosplayer was at least aware of that as he timidly tried to get this whole awkward affair to pass as quickly and painlessly as possible. Once Tyler started going on about “who left the Christmas lights on during the apocalypse”, I think he may have been scared that she was about to turn into a giant mantis and eat his face off because reality was clearly ripping itself apart before his very eyes. On the bright side, Ubisoft did get their meme out of the whole ordeal. Unfortunately, it was all centered around how laughably out of touch the company is. Kingdom Hearts III was easily one of the most anticipated titles for the Square-Enix conference and, boy, did we ever have to work for it. Square-Enix easily had the worst conference this year and the unending build-up for the new KH3 trailer was the worst part of it all. First, we had the executive producer for the Kingdom Hearts series, presented as such, take the stage and expectations were immediately raised. Producer Shinji Hashimoto began speaking, but it seems that his translator fell asleep on the job as this segment was only presented in Japanese. It probably wasn’t anything too important, though, because all he had to follow that up with was the exact same Final Fantasy VII trailer that had already been shown at Sony’s conference. After that, Hashimoto, now with translation, said it was time to present a Kingdom Hearts game… For mobile phones. Yeeeeeah. But then, it finally came time to talk about Kingdom Hearts III, starting with… Two random guys from Disney telling us that we’d be seeing a Tangled world in the following gameplay trailer. Yeah, because why just show when you can tell?! Finally, we get to see the latest gameplay footage of the long-awaited Kingdom Hear-Wait, one of the guys we just had onscreen is actually right here in the audience, so why don’t we all wave hello to GET ON WITH IT!!! At that point, it seemed like Square-Enix was just being intentionally malicious with how much it was holding out on their audience. It’s a good thing that the trailer was actually really good because that crowd was gearing up for a full-scale riot at that point. 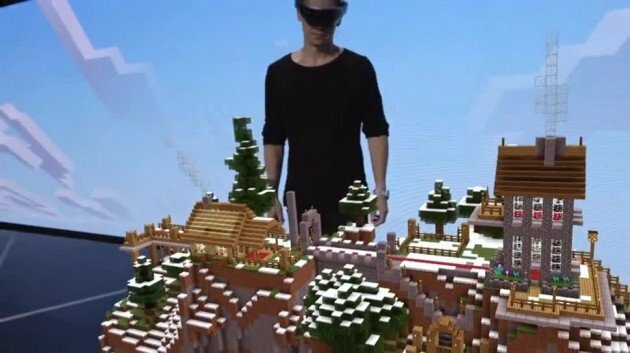 Microsoft’s public demonstration of the Hololens impressed many with its ability to recreate a Minecraft world on a simple table and allowing users to directly manipulate virtual landscapes with their own hands. It was certainly an inspiring look into what virtual reality is capable of, but there was one minor problem with Microsoft’s little showcase: it was completely fake. It’s actually abundantly obvious that none of the footage we saw during the demonstration was actually taken from the Hololens display as the man we’re supposed to be seeing through the eyes of is constantly on-camera alongside the prerendered graphics imitating virtual reality. While virtual reality has a great deal to offer the gaming industry and technological progress in general, Microsoft’s dishonest demonstration of how their headset works is bound to leave a lot of customers disappointed with how it actually looks. If the first games that come to mind while playing with the Hololens end up being Watch_Dogs and Aliens: Colonial Marines, now you know why. In my article on things I didn’t want to see at E3, I briefly mentioned the trend of pop stars showing up at E3 press conferences for a short performance that only ever serves to eat up extra time. 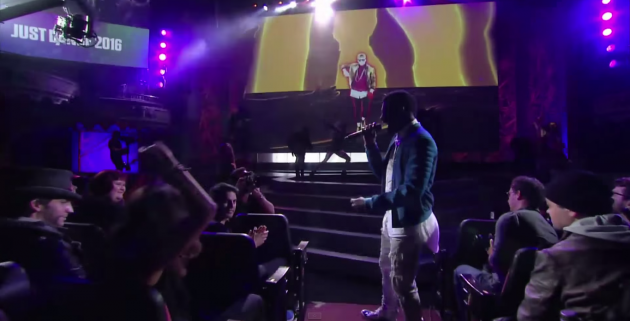 In 2012, both Usher and Flo Rida performed at the Microsoft and Ubisoft conferences respectively. Yes, these appearances are meant to hype up rhythm games and that makes sense, but having these artists perform one of their songs like their giving a concert when these events are meant to promote the actual gameplay just ends up being frivolous and pandering. I also mentioned that the trend seemed to have finally died in that article, and I should really learn to keep my big mouth shut (cue obvious ribbing from the hecklers) because guess how Ubisoft decided to promote their latest Just Dance games. EA has one of the worst press conferences at E3 every year without fail. Admittedly, this year had one of their better showings with Mass Effect: Andromeda, Unravel, Mirror’s Edge: Catalyst, and Star Wars Battlefront 3 (that’s what I’m calling it and you can’t stop me). Sadly, they couldn’t resist bringing up some of their classic bad habits. It’s pretty sad when the most detailed demonstration at your conference goes not to Mass Effect, Star Wars, or even Garden Warfare, but to a generic cow-clicker starring the minions from Despicable Me that grandparents and toddlers will throw too much money at for about a week and then completely forget about. However, the award for worst of the worst naturally goes to their EA Sports segment. I understand that sports games are the single greatest pillar of EA as a company and expecting them not to feature them during every press conference is like expecting Nintendo to not have a game featuring Mario. The difference is that Nintendo never dedicates a good chunk of their presentations to assure us that they’ve tirelessly worked to improve Mario’s jumping animations, whereas EA does just that every single year. They did have some interesting announcements, like the face-scanning app for NBA Live 16. Just quickly showing off substantial innovations like that for their latest sports games would keep the energy of their presentations active rather than delving into redundancy. Instead, they went with Pelé. 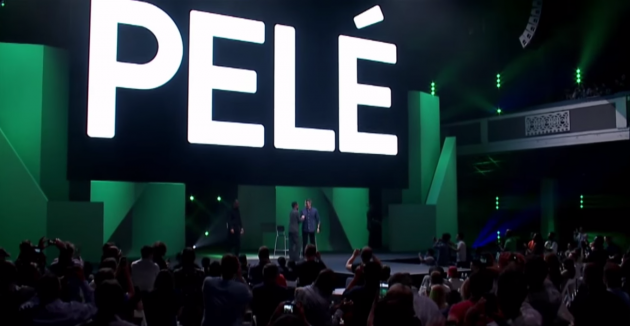 Now, I can’t exactly blame Pelé himself for not having much to say about actual video games while onstage at E3. Expecting a 74-year-old soccer legend to be a well of knowledge on game design isn’t exactly realistic. The problem is that EA wasted everyone’s time so that they could publicly shoot the breeze with a famous athlete. At least when Ubisoft brought out Derulo, it was a (failed) attempt to just entertain all of the investors, journalists, and loyal fans in attendance. EA invited Pelé to their conference purely for their own amusement while we got the privilege of watching them. I certainly could have kept this list going with more missteps from the expo, such as the Nintendo World Championships focusing more on advertising Nintendo’s games than the spirit of competition or how the PC Gaming Show was essentially Day9’s three-hour public podcast, but I think that’s enough complaining from me for one year. 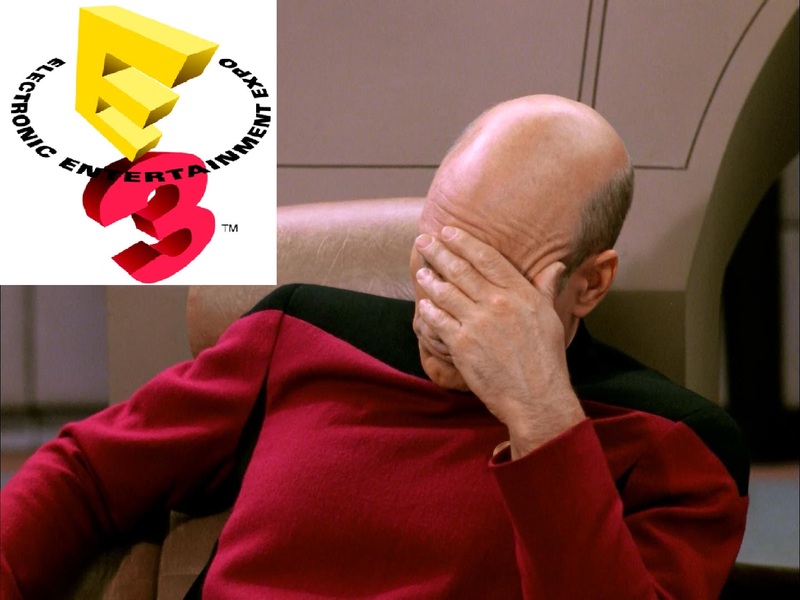 What was your worst moment from E3 2015? Are there any moments from this year’s E3 that made you cringe missing from this list? Can you come up with a better name for a Need for Speed game than EA? Leave a comment below and let us know what you think.